Michigan Tech Theatre Company’s production of David Mamet’s award-winning “Sexual Perversity in Chicago” continues this weekend. 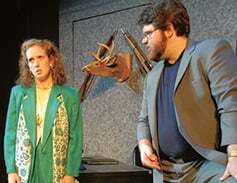 With performances in the McArdle Theatre, the play is presented as a hilarious on-stage “game show,” using mature and graphic language to reveal the awkwardness, heartache and humor of American sexual behavior. Performances are 7:30 p.m. tomorrow, Friday and Saturday (Feb. 23-25), in the McArdle Theatre. Tickets are available online, by phone 7-2073, in person at the Central Ticketing office in the SDC and an hour before show time at the McArdle box office. 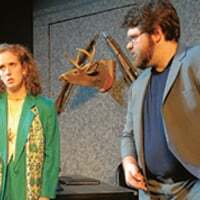 David Mamet’s award-winning play “Sexual Perversity in Chicago” is given an inventive new staging by the Michigan Tech Theatre Company. Opening Thursday in the McArdle Theatre, the play will be presented as a hilarious on-stage “game show,” using mature and graphic language to reveal the awkwardness, heartache and humor of American sexual behavior. The play opens tomorrow night, with additional performances Friday, Saturday and Feb. 23-25 at the McArdle Theatre in the Walker Arts and Humanities Center. Performance time is 7:30 each evening. Part of the play will present “commercial breaks” with information about the two health initiatives. The commercials were created by Wellness students, staff and Held. Wellness will also have a table with information about the initiatives set up in the lobby. Tickets are on sale now, $13 for adults, $5 for youth and no charge for Michigan Tech students with the Experience Tech Fee. Tickets are available online, by phone 7-2073, in person at the Central Ticketing office in the SDC and an hour before show time at the McArdle box office. 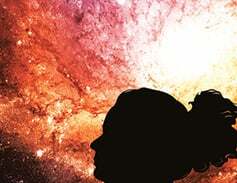 The play, which explores the nature of sexual relationships, will be performed Thursday, Friday and Saturday, with additional performances Feb. 23-25 in the McArdle Theatre on the second floor of the Walker Fine Arts and Humanities Center. Performance time is 7:30 p.m. each evening. First produced in 1974, “Sexual Perversity in Chicago” continues to speak to generations of young adults in the unyielding clutches of sexual inelegance. It has twice been adapted to film, “About Last Night … ” (1986) starring Rob Lowe and Demi Moore and “About Last Night” (2014) with Kevin Hart and Regina Hall. The Tech Theatre production of “Sexual Perversity in Chicago” is under the direction of Roger Held. Tickets are $13 for adults, $5 for youth and no cost for Michigan Tech Students with the Experience Tech Fee. Tickets are available online, at the Central Ticketing Office in the Student Development Complex and by phone, 7-2073. Michigan Tech Theatre Company will hold auditions next week for two show to be performed in the Fall Semester. Auditions for both plays will take place at 7 p.m. on Wednesday, Aug. 31 and Thursday Sept. 1, in the McArdle Theatre, second floor of the Walker Building. Call backs will be held as needed. Both Science and fiction, “Silent Sky” blends the discovery of how to measure the universe with the essence of the discover’s life story. Set against the turmoil of the cry for social justice at the beginning of the 20th century, the chronicle of Henrietta Leavitt counterpoints the power of a passion for work with the desire for love and family. Five parts – four women and one man. Six Performances, October 13-15 and 20-22. Rehearsals will take place Sunday through Friday evenings. All actors will not be required at all rehearsals. No preparation is required for auditions which will include games and reading from the script. “The Resistable Rise of Arturo Ui” by Bertolt Brecht. This dark comedy, set in ’30s Chicago, tells the story of a strongman’s rise to the head of the Cauliflower Turst that has many parallels around the world today. Written as a parable about Hitler’s rise to power, the story applies to any situation in which a charismatic leader exploits the economic fears of the little guy to seize more and more power. There’s jazz, gun-molls, shady backroom deals and lots of dark laughs. There are parts for three or more women (up to six possible) and 19 or more men (up to 30 possible … one singing part—baritone preferred). There are also two gender-irrelevant roles. No monologues required for audition, just come ready to read and dressed for movement. No previous experience required. There will be three performances Nov. 10-12.